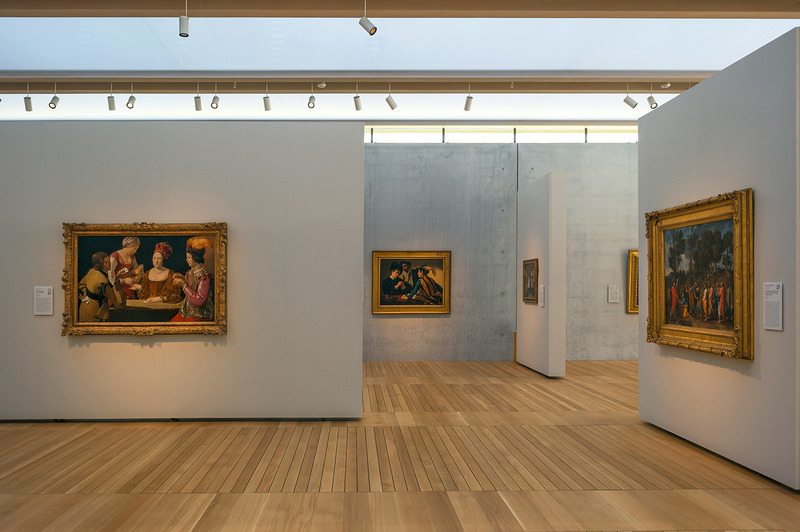 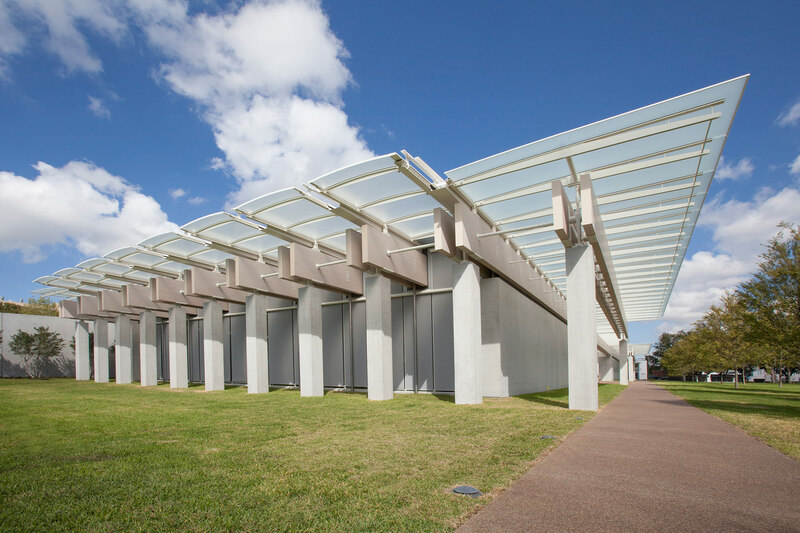 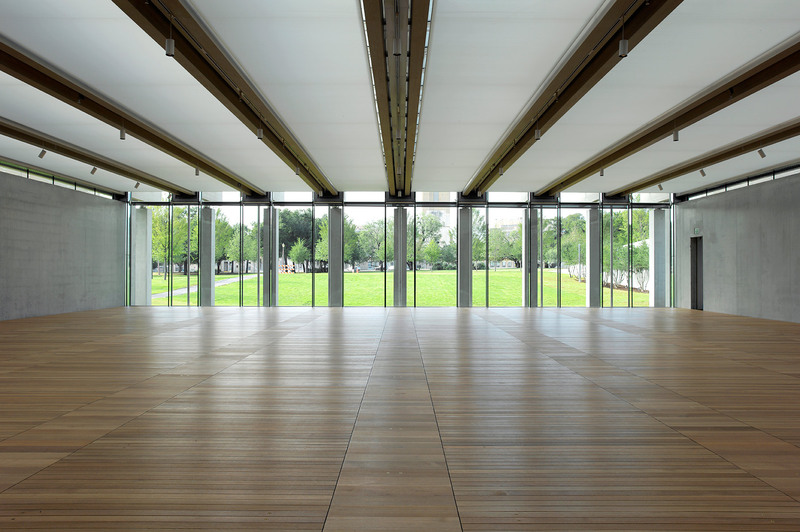 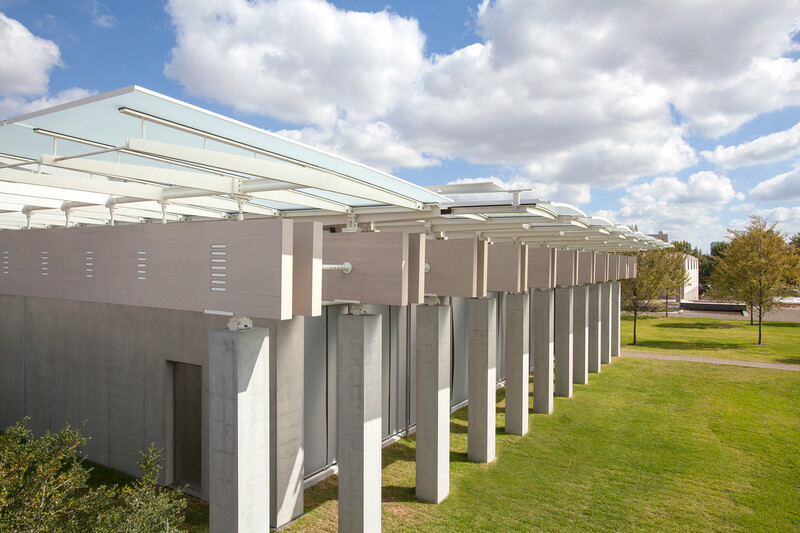 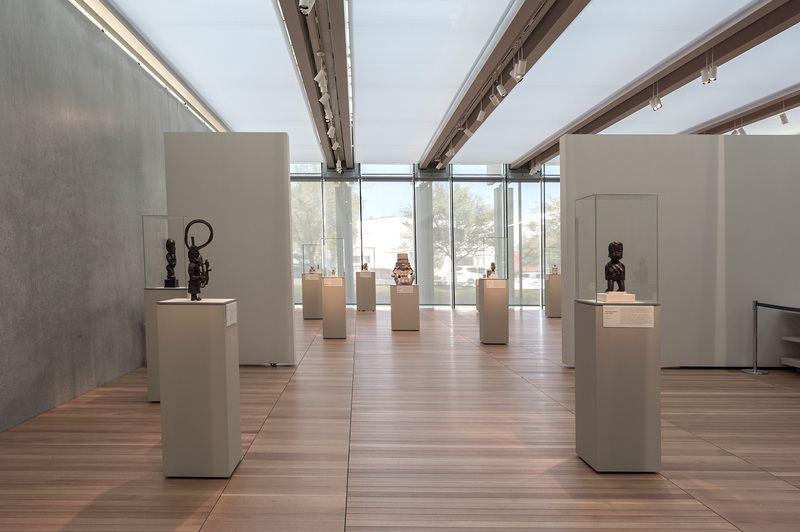 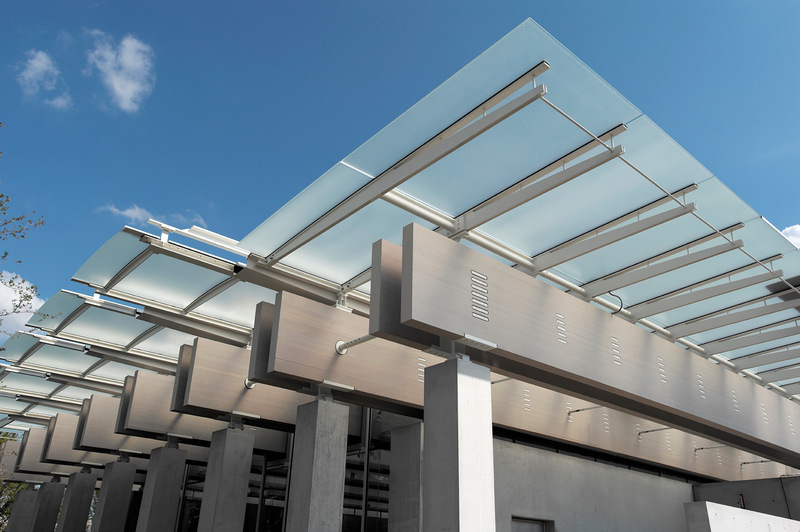 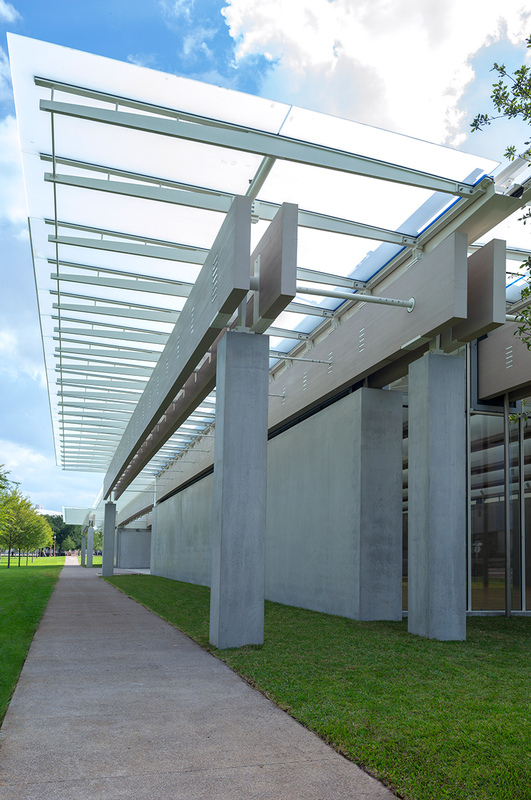 Renzo Piano has revitalized the original intent of Louis Kahn by creating an addition to the Kimbell Art Museum that will refocus Kahn’s west vaulted porticos as the primary entrance to the building through the tree lined court. 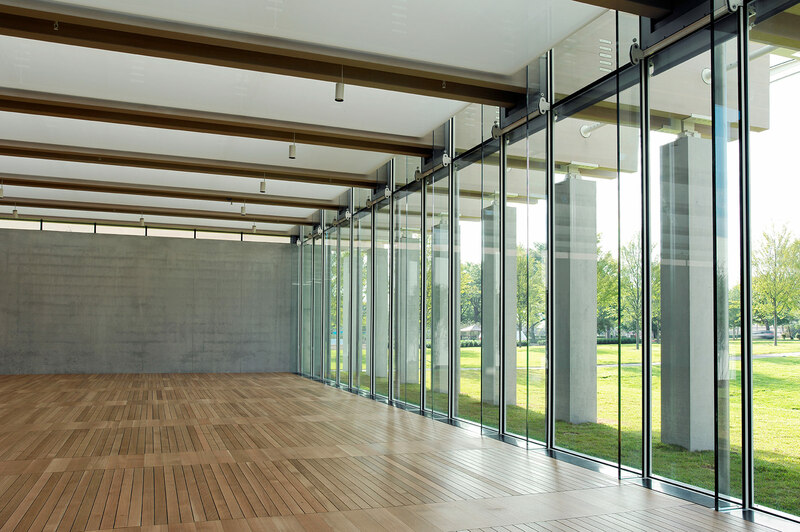 The new light-filled pavilion provides an enduring counterpoint to the solid vaults and arches of Louis Kahn’s landmark building design. 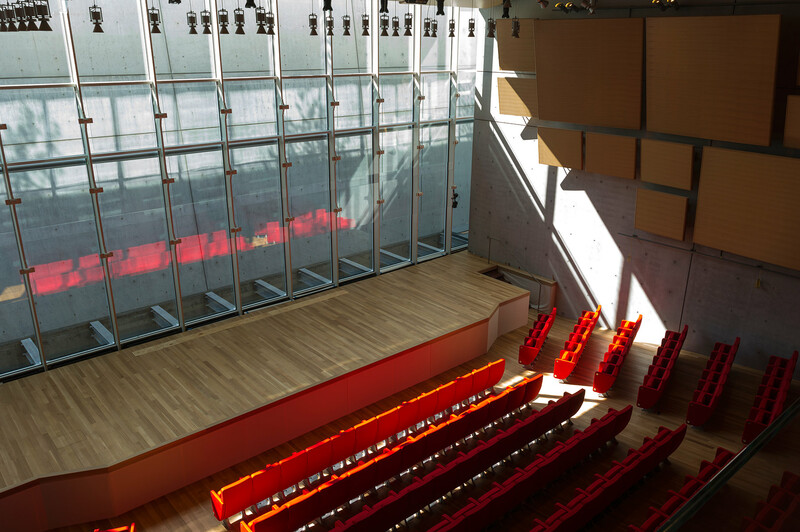 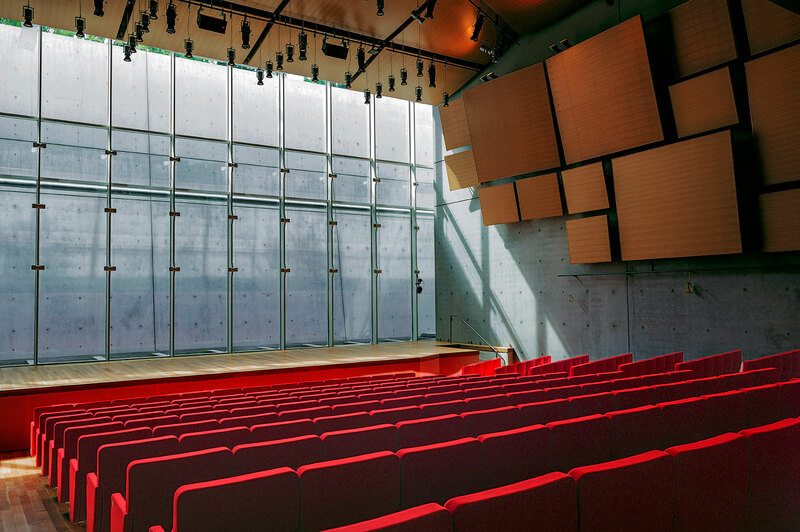 The lawn covered west wing includes a gallery for light sensitive works, a new 298 seat auditorium, library, and education spaces that were not part of the Kahn building program. 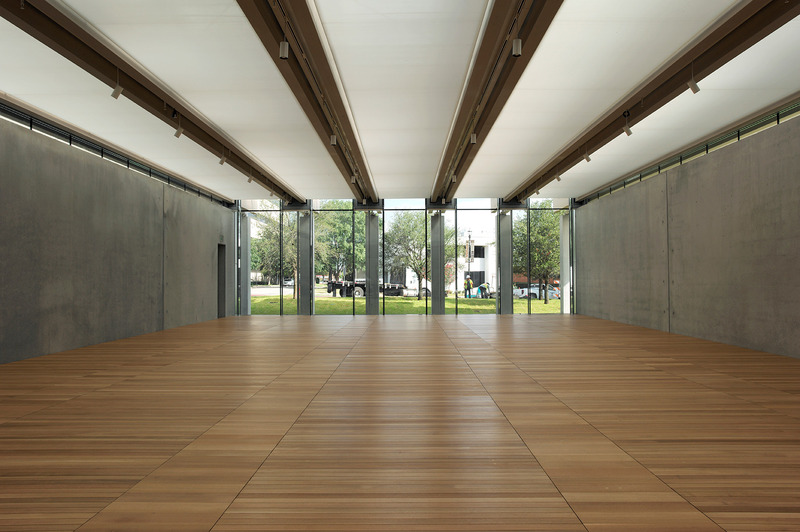 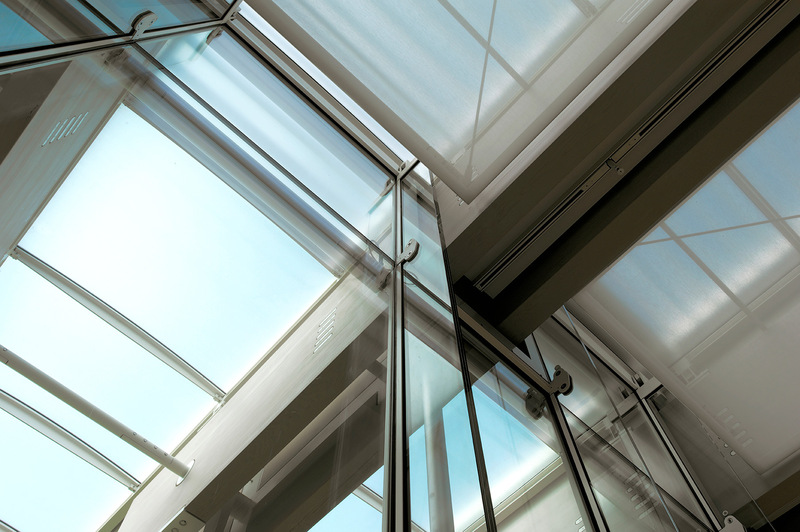 Piano used an open glazed lobby façade facing Kahn’s portico, so visitors will be able to view and be in awe of the original masterpiece. 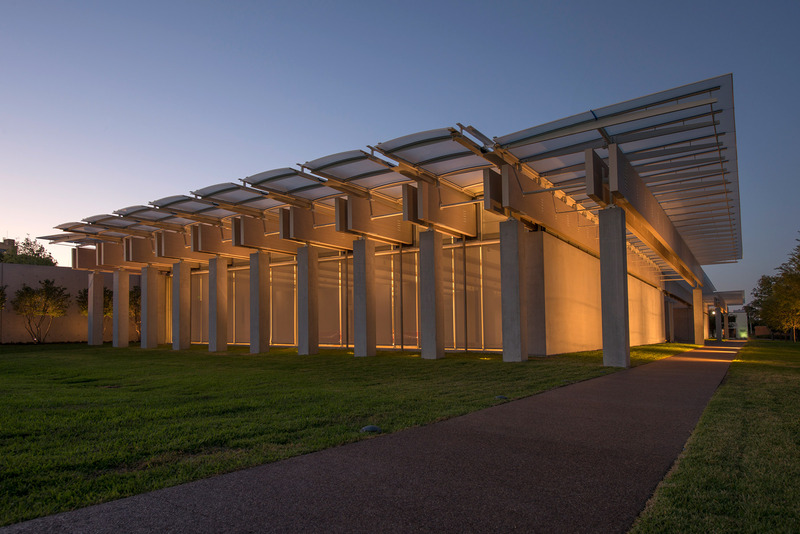 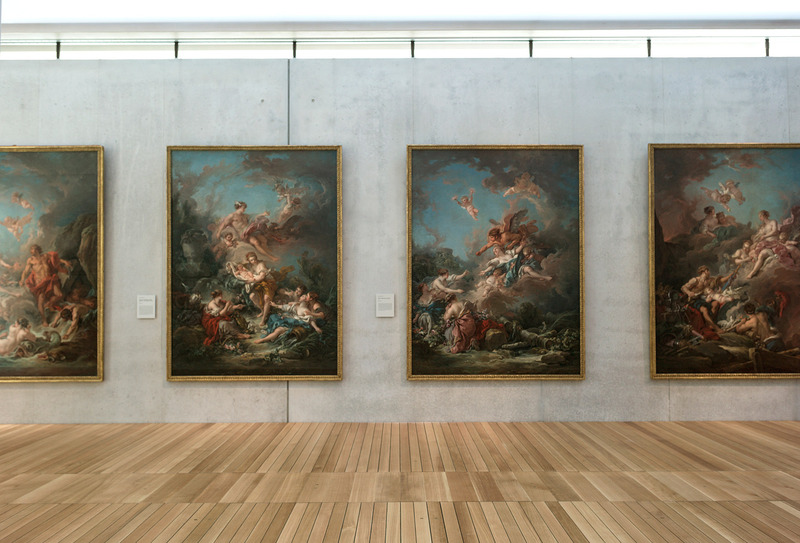 The addition, which nearly doubles the size of the original museum, mirrors the Kimbell’s height, scale and span of façade. 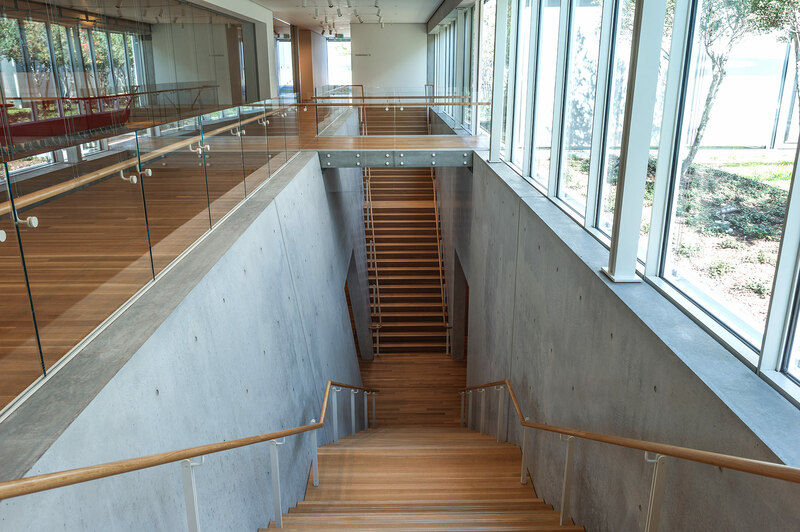 Architectural concrete walls define the galleries to the north and south of the lobby, as well as auditorium, stair and site walls.